Have a desire to visit Paris and the Palace of Versailles? 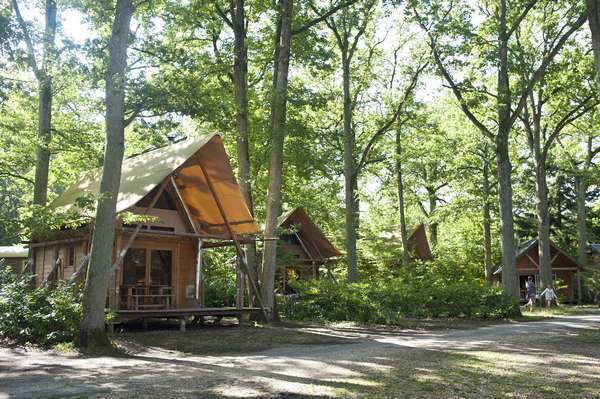 Choose the Huttopia Versailles campsite! 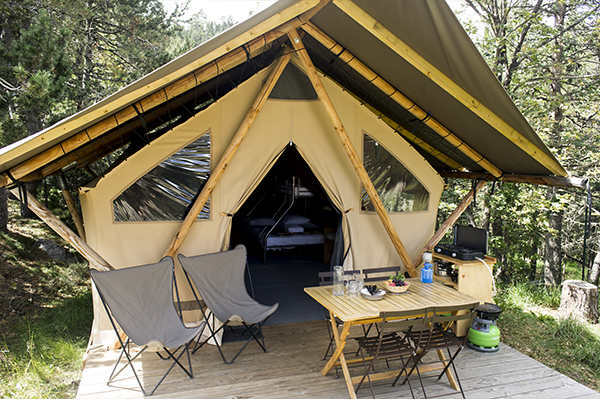 This 3-star campsite with a heated swimming pool is the ideal departure point for some wonderful family excursions! Just a stone’s throw from Versailles Palace! And the brand new Chalet Evasion! 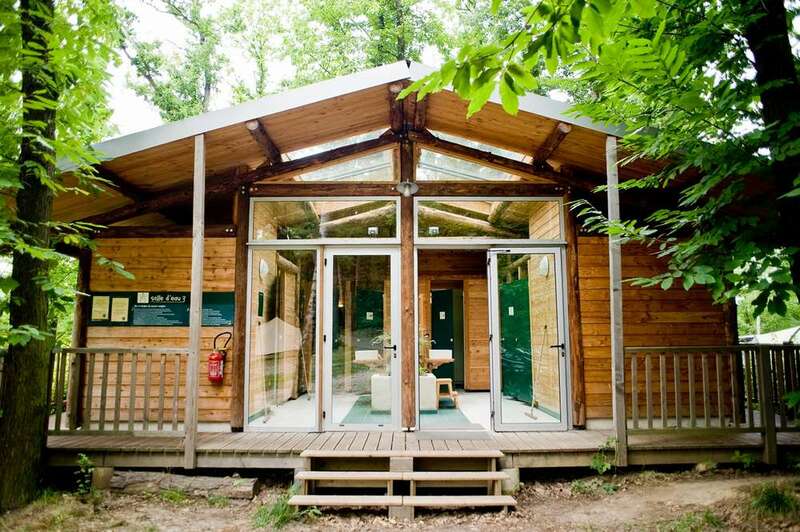 Huttopia Versailles campsite, just a few minutes from Versailles Palace, invites you to stay in the heart of the forest with easy access to all the services and amenities in the town. Nature is invited to the heart of the city! 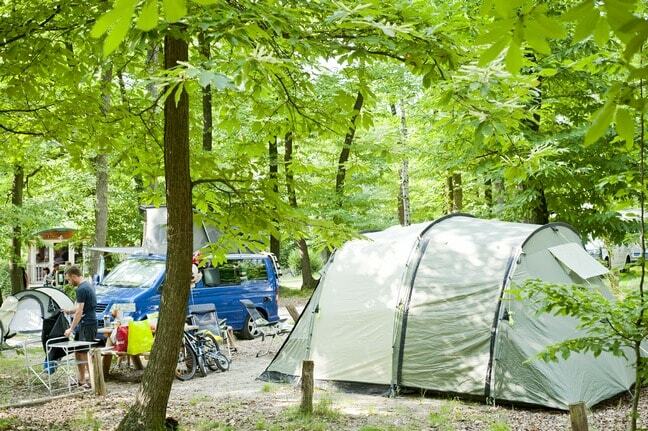 Huttopia Versailles campsite welcomes tents, caravans, and motorhomes. 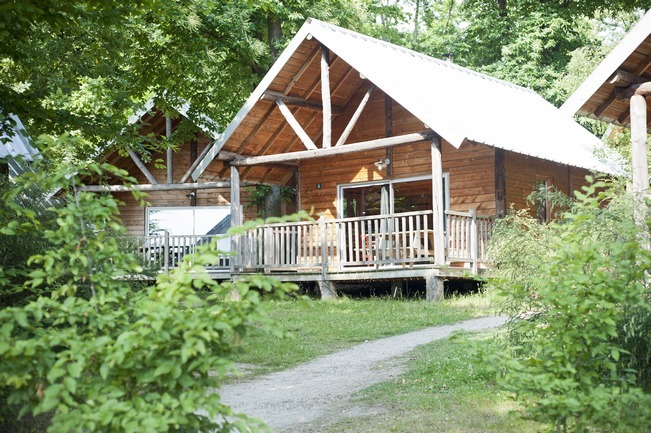 Natural lodges with all the comforts are also available for rent: Cabanes, Canadienne tents, Cahuttes, Trappeur tents, and the new Chalet Evasion. 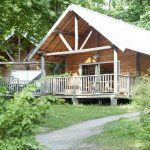 Family reunions, short stays with friends for May weekends, Ascension, Pentecost or the summer holidays, every opportunity is good to escape. Enjoy the central lodge with its heated swimming pool. Sightseeing and relaxation await you. 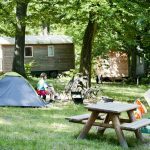 At Huttopia Versailles, you will sleep in a chalet or a Wood & Canvas tent, for a very different experience to a hotel room. 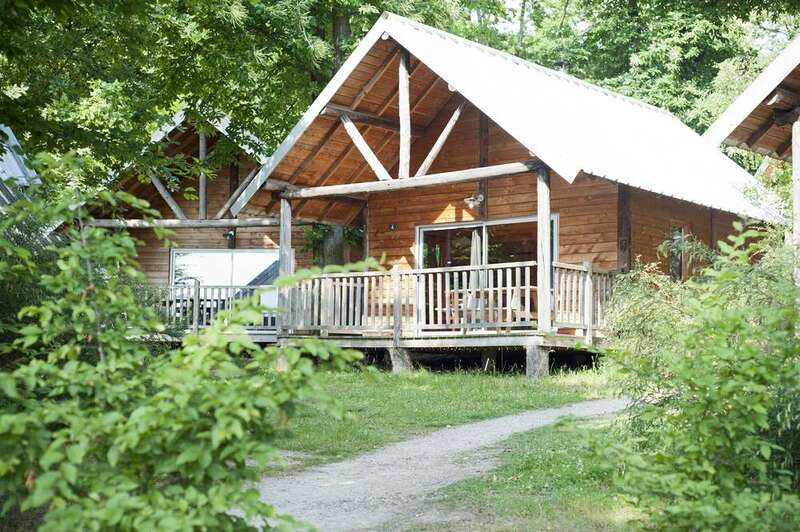 Enjoy the calm of the forest and re-energize just a stone’s throw from Versailles Palace and Paris! 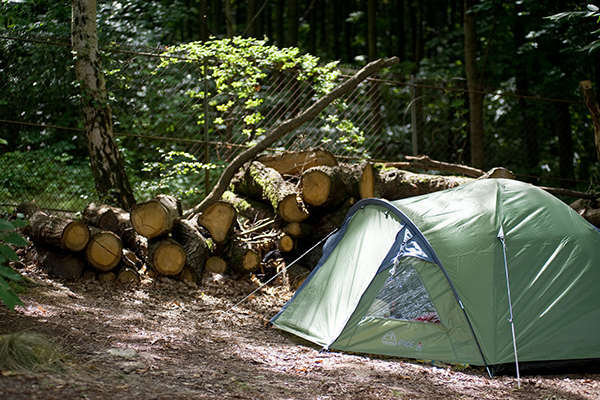 The perfect campsite for visiting Paris and Versailles. 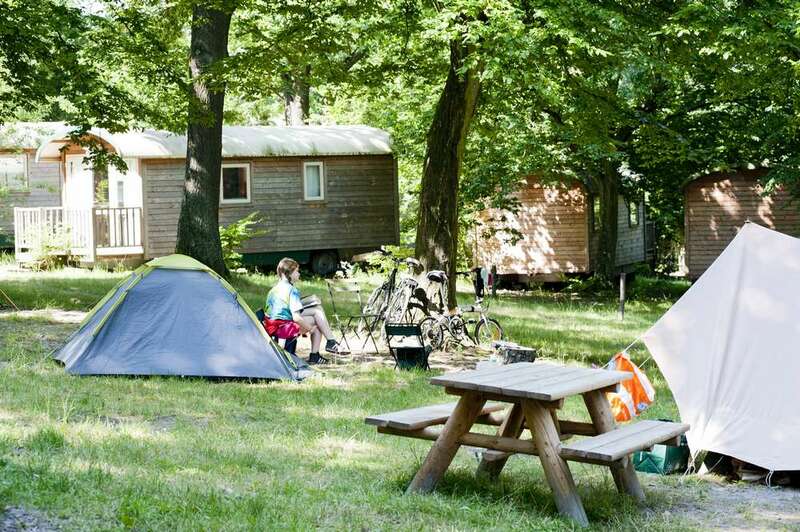 In the region of Paris, in Versailles in the Yvelines, just a stone’s throw from Paris, the Huttopia Versailles campsite invites you to camp on a 4 hectare site, just beside Versailles national forest. 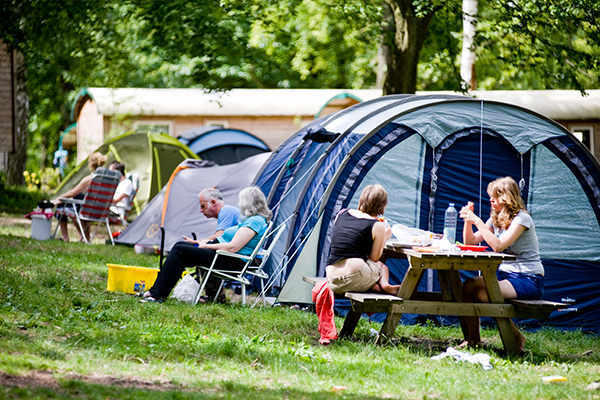 Tents, caravans, and motorhomes are all welcome to camp on the lovely shady pitches. 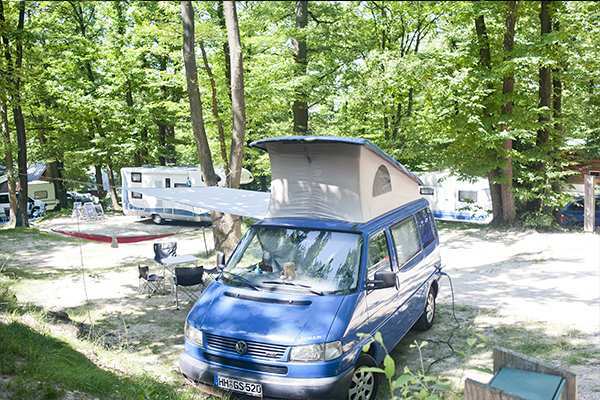 The Comfort Plus pitches are sure to satisfy even the most demanding campers: a prime location or additional space, as well as a picnic table await you out in the heart of a green setting. 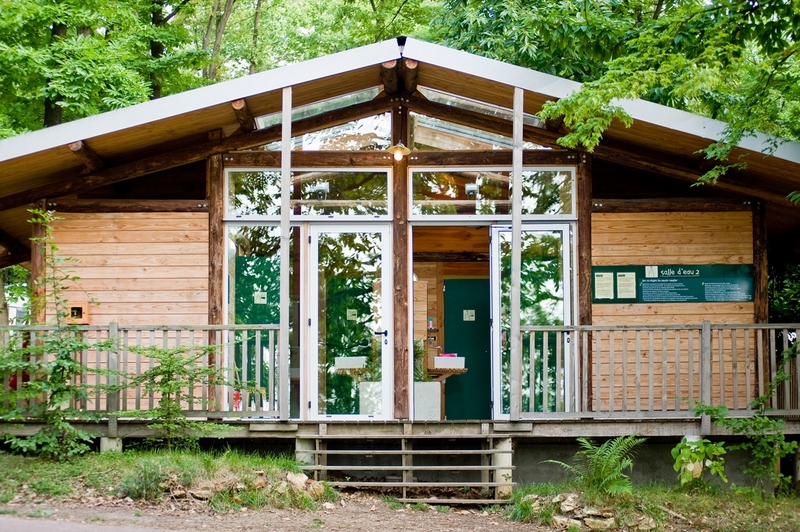 Camp in even greater comfort, with our fully renovated washrooms! 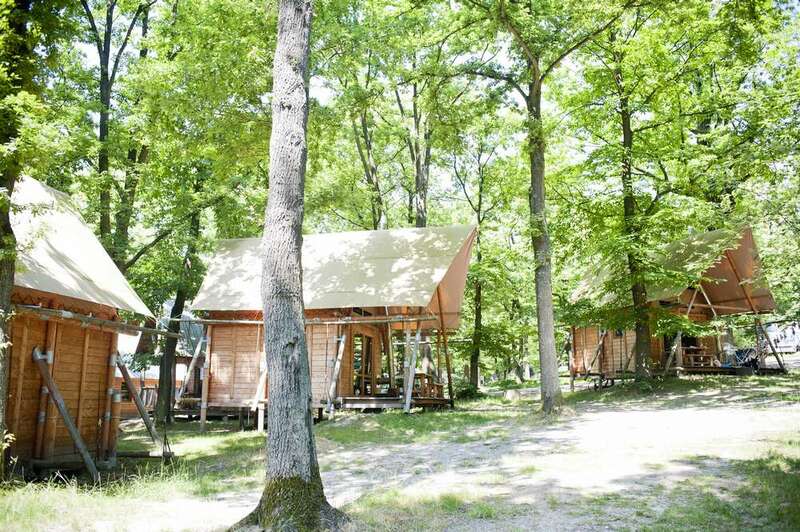 At Huttopia Versailles, our campers appreciate the comfort of our shower rooms: space, functionality, the use of noble materials (wood, glass, etc. ), lighting… Several washing amenities are dotted around the camping area to ensure they are within easy reach of everyone. 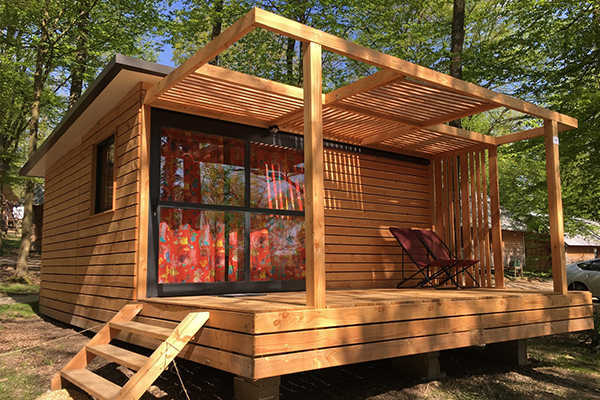 The family washroom is a Huttopia innovation that features showers and sinks so that the whole family can remain together. Toilets are cleaned and inspected several times a day, a gauge of the importance we place on cleanliness. The shower blocks are suitable for the handicapped. 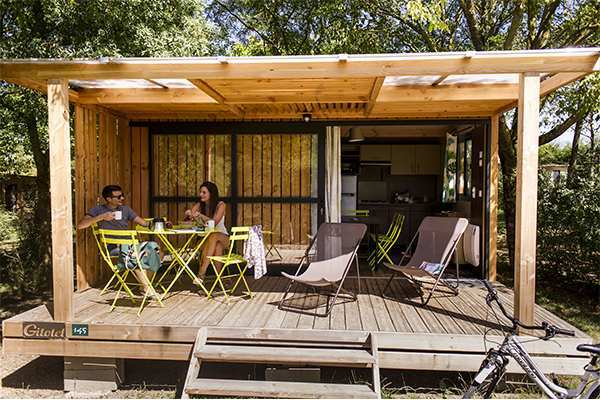 At the Huttopia Versailles campsite you will be able to access a host of services throughout your stay. Professionalism and friendliness are the watchwords at reception, in the Pizza-Grill restaurant, the bar and everywhere else. 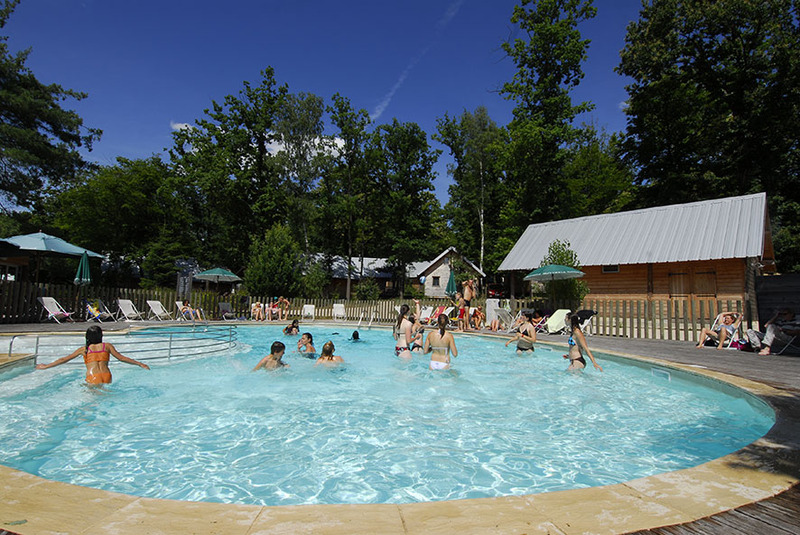 The Life Center on the heated pool is the ideal place to meet up with family and relax. 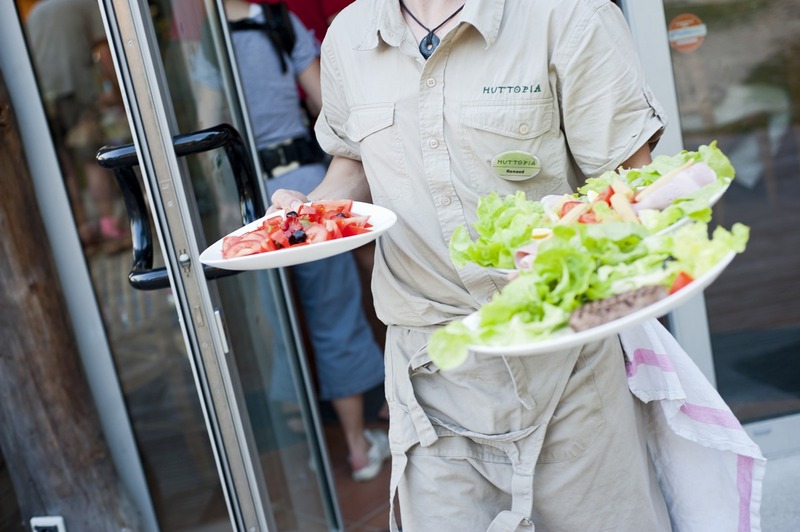 Enjoy simple and friendly meals during your stay at Huttopia Versailles. 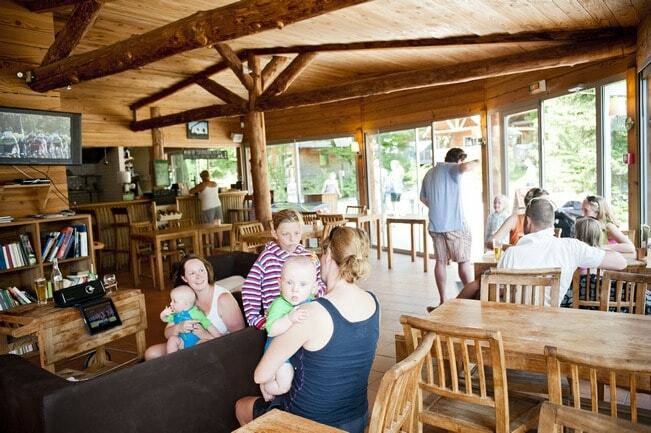 The Pizza-Grill offers homemade pizzas (on site or to take away), grilled meat, french fries….Open every evening during the summer, and every week-end outside of summer. 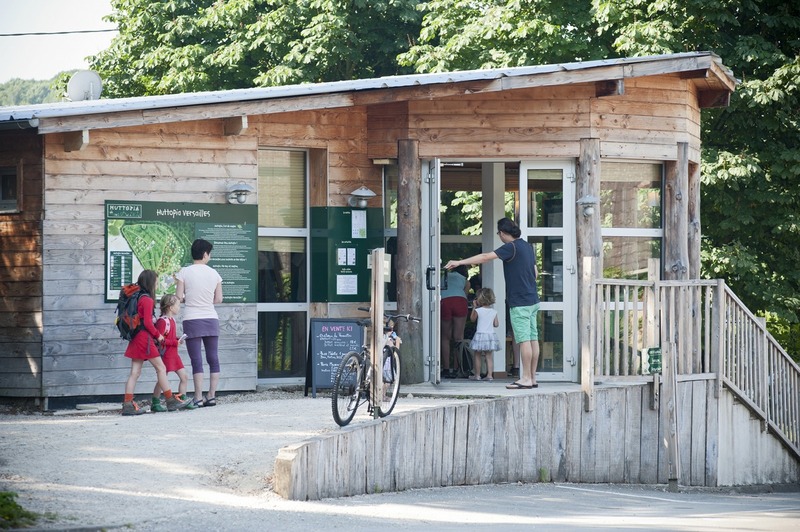 Throughout the summer, the bar is open all day long… children can come and buy a refreshing ice cream before getting back in the play area. Enjoy simple moments with family or friends around an aperitif on the quiet terrace in the countryside, a stone’s throw from Paris. When you arrive, and at any time throughout your stay, you can get all the information you need at reception! 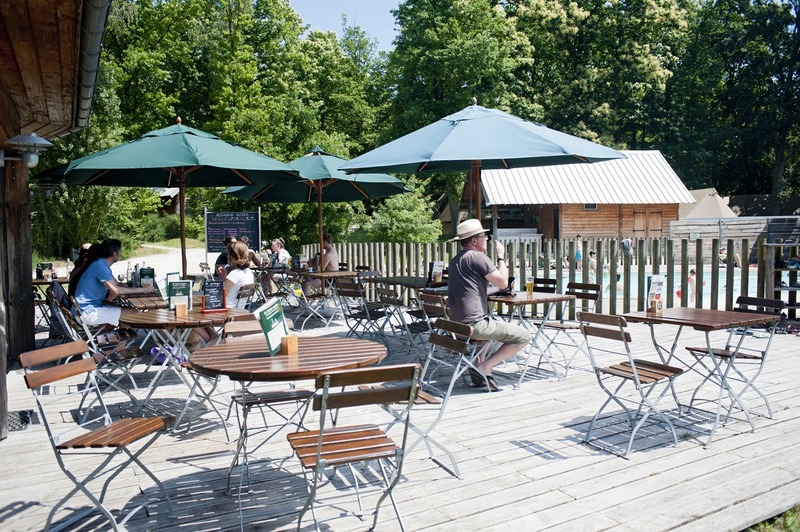 The Huttopia Versailles team can advise on visits and must-see events in the local area. 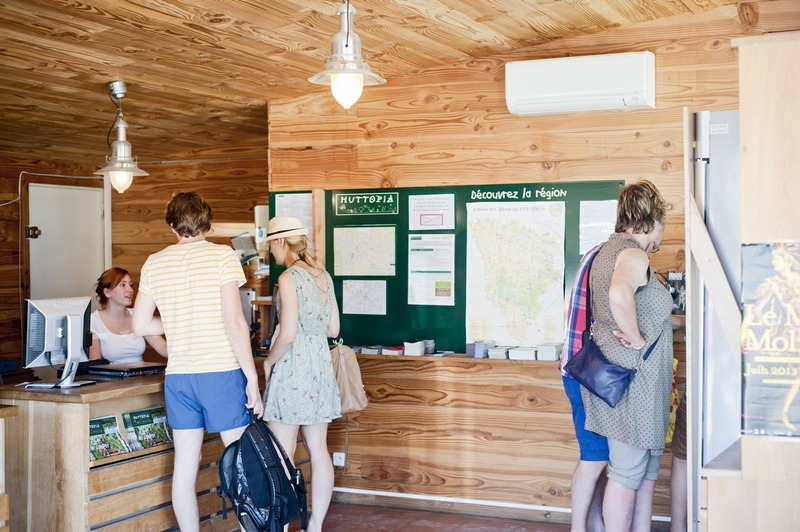 At reception you can also find out about all the activities to do in Versailles and Paris. 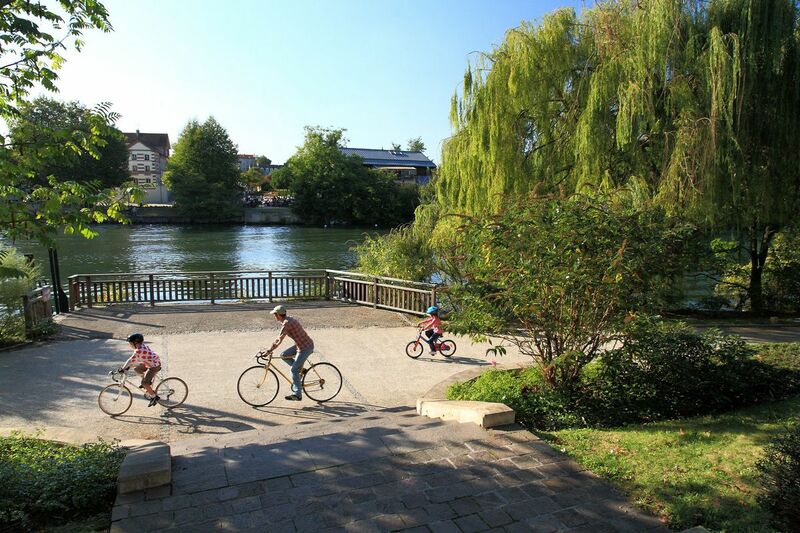 You can also rent a bike directly at the campsite to cycle to Versailles Castle. Our team is on hand to welcome you from 8.30am to 7pm. We remind you that spaces are available from 2pm and rented accommodation from 4pm. > Ticket service:buy your tickets to visit Versailles Castle at the reception to make your outings easier and avoid queuing. 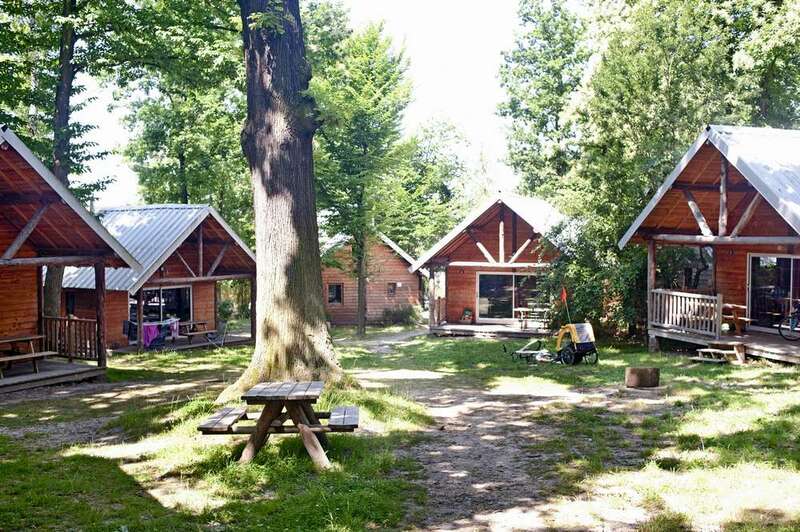 Huttopia Versailles is 150m from a supermarket that sells everything you will need ! You can also go to Porchefontaine market (on Wednesdays and Saturday). 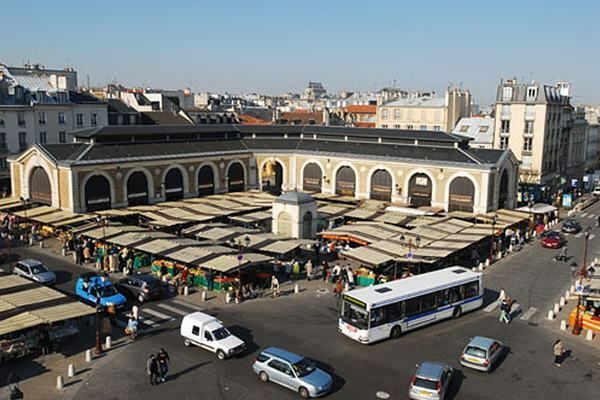 There is also the big Marché de Versailles, recently elected most beautiful market of Ile-de-France (the food market is open on Tuesdays, Wednesday and Sunday, while the non-food market is open on Wednesdays and Thursdays). 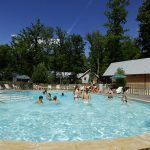 When you get back from your outings or strolls, feel free to avail of our facilities: do a few lengths in the heated pool while the kids splash about in the paddling pool. 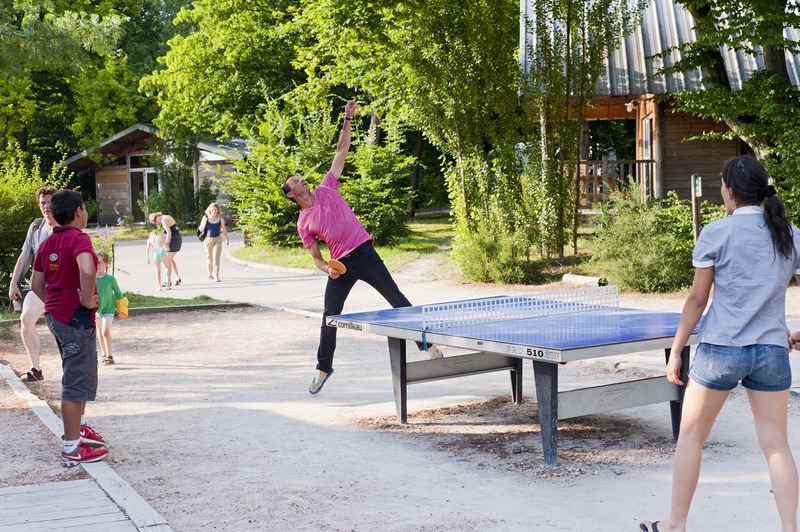 You and your friends can also enjoy a game of table tennis or pétanque – we will be happy to lend you the equipment you need for this (balls and rackets) or else get together to play any of the numerous board games that are available to play by the fireplace in the Living Centre. Children can enjoy the play area, just a few minutes from the Living Area terrace and close to the heated pool. 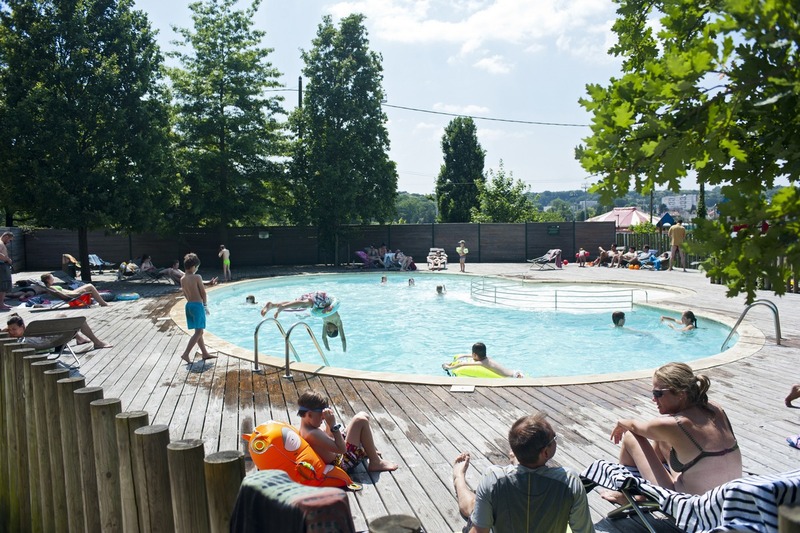 For the 2019 season the swimming pool is open from 19/04 to 29/09. You can also go mountain biking in the surrounding woods. 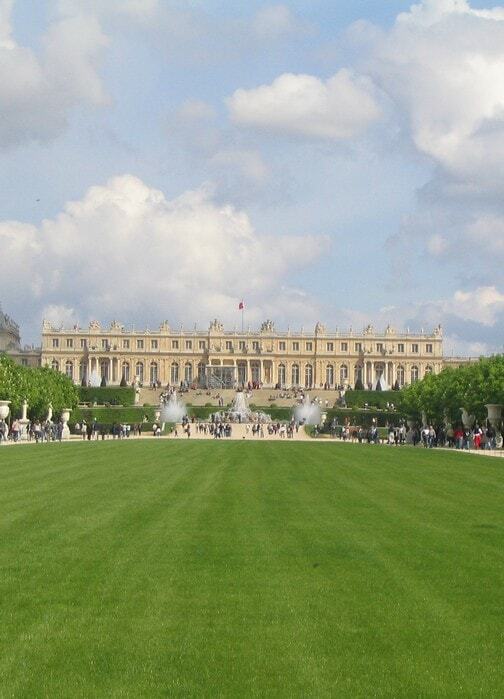 Visit Versailles, its castle, the Salle du Jeu de Paume and the surrounding towns such as Marly-le-Roi. You can visit the State Apartments and also the Grand Trianon and the Petit Trianon, the French gardens, the Grand Carriage Museum and much more. You can also discover the royal stables and the horseshow academy, which is today located in the King’s Grand Stable. Every summer the Grandes Eaux Musicales and Fêtes de Nuit festivals spice up life in the park. Take a short journey in a carriage or little train to discover the more remote parts of the Palace’s park. Sport-lovers will enjoy hiring a boat to go down the grand canal or perhaps doing a lap on a bike. Versailles Palace Passes: you can buy your tickets when you arrive at the campsite and simply present them at the entrance of the Palace. 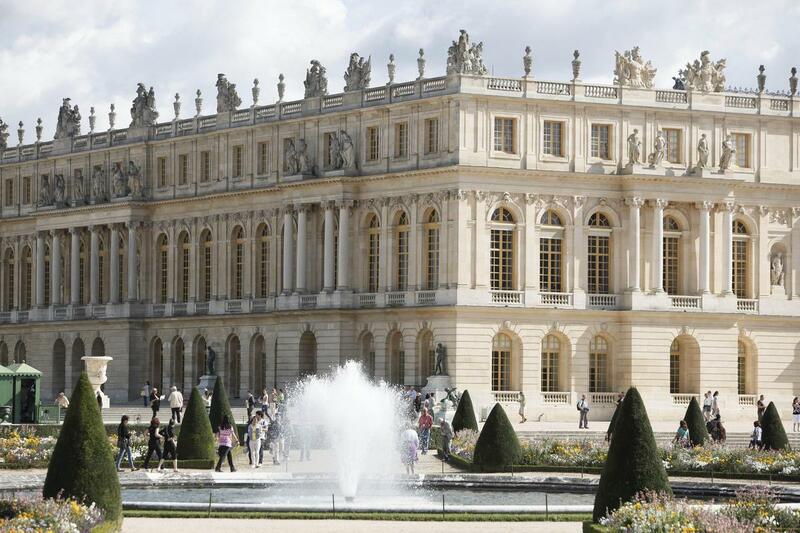 Take a tour of the town of Versailles and discover its many historic districts and monuments! Vieux Versailles with its numerous historic monuments (including the Salle du Jeu de Paume, which was the setting for a major episode in the French Revolution); St Louis district and its cathedral, which also houses the Royal Vegetable Gardens, designed to feed the palace’s prodigal population; and Notre-Dame district with its rectilinear urban planning, its picturesque antique shops, and the Carrés Notre-Dame, which is reputed to be the best market in the region! 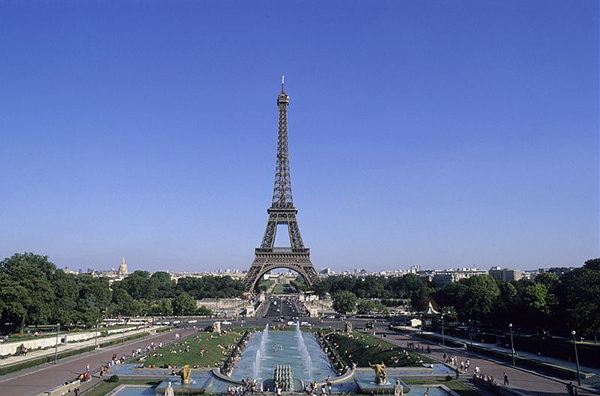 Set out to visit Paris or Les Yvelines and come back with a lifetime of family memories! 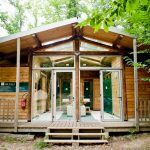 Its very easy to reach Paris by public transport, with the RER C train station near the campsite: in 20 minutes you will be at the foot of the Eiffel Tower. 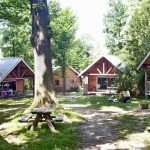 A few kilometres from Huttopia Versailles there are two theme parks: Thoiry Zoological Park and France Miniature featuring small versions of monuments such as the Eiffel Tower, Stade de France, and so on.  There are also dozens of history of art museumsto visit: Le Pays des Marches d’Yvelines and Le Pays des Impressionnistes, homes of great artists, etc. 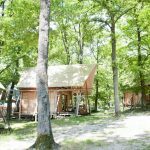 Nature lovers will adore the abundant forests(70,000 hectares) in Les Yvelines and two natural parks, the Regional Natural Park of the Chevreuse upper valley and the regional natural park of Le Véxin. Hikers and ramblers can trek along some 1,000 kilometres of marked trails in the department, including the big GR1 route (around Paris) and many others. 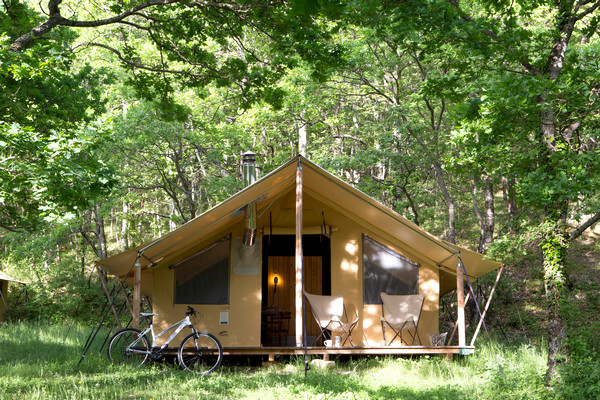 **The Canadienne Tent is available for rent from 19/04 to 05/10. 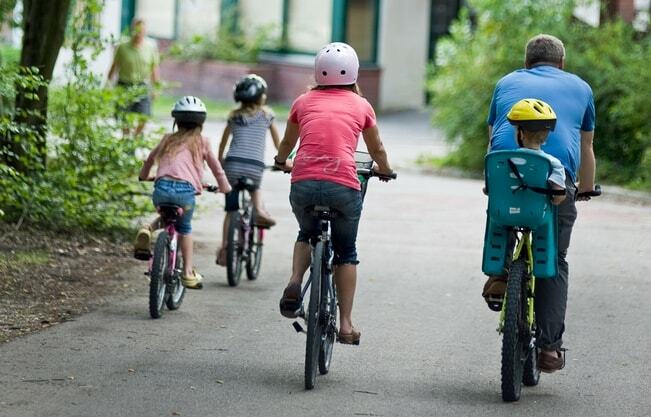 That’s why our camping trips are always free for children up to 4 years of age! The site was about 50% full but only 1 of the 3 facility blocks was open which led to queues. Everything else was good. 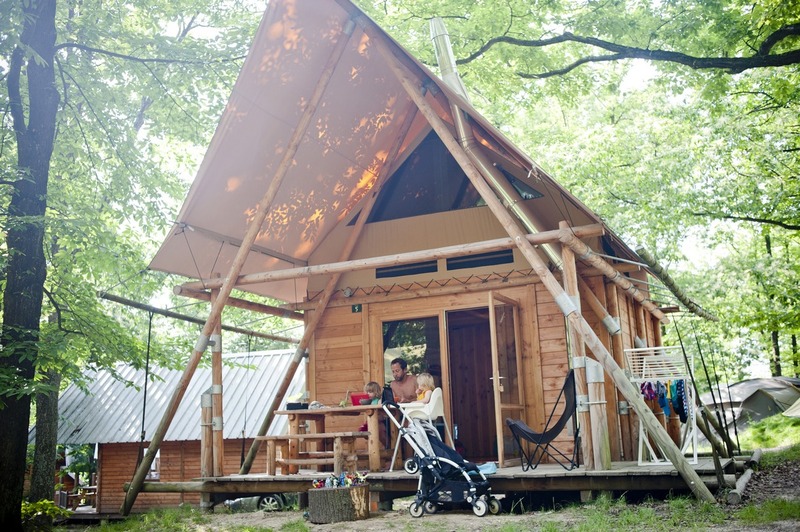 We had a fantastic stay at Huttopia Versailles with our 2 children. It was only a short walk to the train station and then a direct train to the Eiffel Tower. The lodge was great and we all loved collecting the wood and enjoying the log burner on the colder evenings.